Would you believe I’ve read yet another Lisa Wingate novel in the last week? That’s three in a month’s time! What can I say, she’s just brilliant. Here’s my review from Goodreads. Don’t make me review every one of her books before you go and get yourself a copy! Speaking of your own copy…be sure and see past the review for some fun GIVEAWAY news. Once again, Lisa Wingate wins over my imagination and pulls me into a world that enlivens my senses, touches my heart, and leaves me rooting for the characters in the way I would a best friend. Good Hope Road is about Jenilee Lane, a young woman stuck in the entrapments of a controlling father and small town limitations, and Eudora Gibson, an elderly woman who thinks she has everything figured out about everyone in their town of Poetry. Both of their worlds are turned upside town when a tornado rips through Poetry and makes them question all they thought they knew and believed. 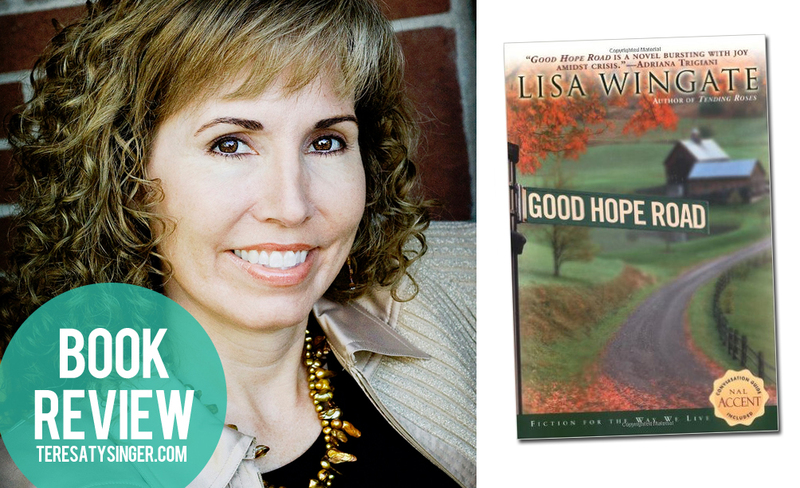 Good Hope Road is a powerful story of redemption and grace. How God can use the most unlikely friendships to carve out new possibilities in a world that feels small and unable to change. Together, Jenilee and Eudora, along with other masterfully crafted characters, find the true meaning of community, friendship, and hope. One of my favorite things about Wingate’s writing is her rich descriptions. Like the other four novels of hers I’ve read recently, Good Hope Road includes scenes that come to life in your mind — the sights, sounds, smells, tastes and feels. It’s all there to create a world that is both easy to relate to and yet feels unique and interesting. A HIGH recommendation for Good Hope Road. I’m not one to hold on to books. I feel they’re meant to be devoured, enjoyed, and allowed to impart their impression on your heart…then given away to someone else. 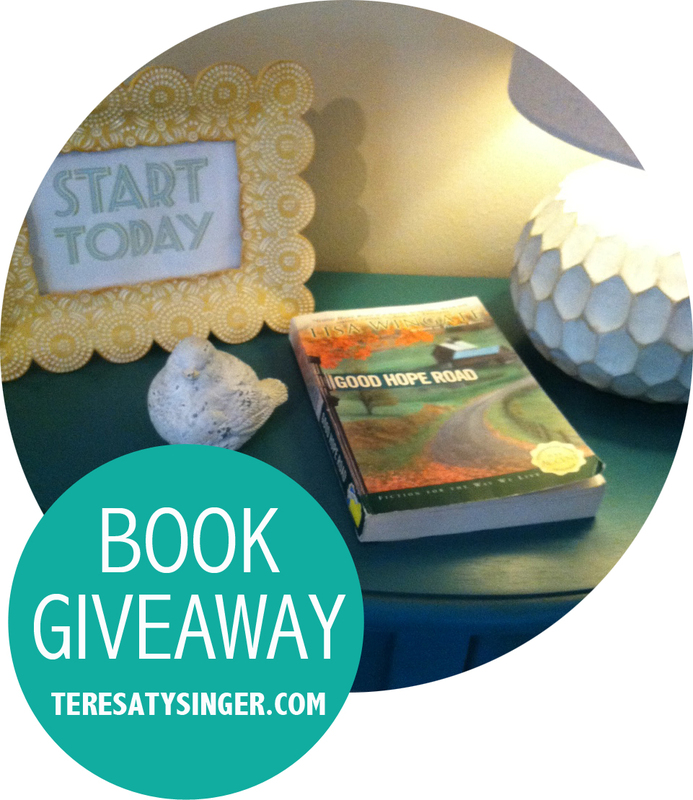 So, I’d love to give away my copy of Good Hope Road to one lucky reader. To enter the giveaway, simply visit my Facebook page, find the giveaway post and leave a comment telling me what you’re currently reading or what you’ve most recently read. I’m always up for suggestions! Winner announced Friday, August 21!